Third Thursday Studio: Afternoon Chigong – A New Art-making Series! 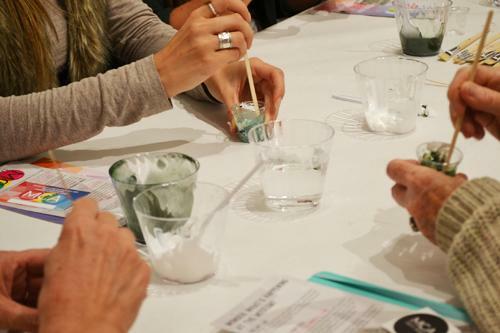 Join us every third thursday of the month to explore techniques and themes of contemporary art inspired by selected artworks in the exhibitions through hands-on experimentation in a fun social setting. Materials provided, artistic talent optional, open mind encouraged. RSVP by the Wednesday before to guarantee your spot: email or call 805.966.5373 x103. Register for Event: Third Thursday Studio: Afternoon Chigong – A New Art-making Series! Your ticket for the: Third Thursday Studio: Afternoon Chigong – A New Art-making Series!